In a world torn apart by religious extremism on the one side and a strident secularism on the other, no question is more urgent than how we live with our deepest differences--especially our religious and ideological differences. 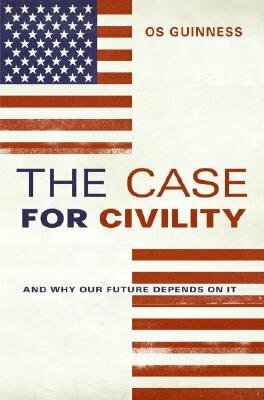 "The Case for Civility" is a proposal for restoring civility in America as a way to foster civility around the world. Influential Christian writer and speaker Os Guinness makes a passionate plea to put an end to the polarization of American politics and culture that--rather than creating a public space for real debate--threatens to reverse the very principles our founders set into motion and that have long preserved liberty, diversity, and unity in this country. Guinness takes on the contemporary threat of the excesses of the Religious Right and the secular Left, arguing that we must find a middle ground between privileging one religion over another "and" attempting to make all public expression of faith illegal. If we do not do this, Guinness contends, Western civilization as we know it will die. Always provocative and deeply insightful, Guinness puts forth a vision of a new, practical "civil and cosmopolitan public square" that speaks not only to America's immediate concerns but to the long-term interests of the republic and the world.